PlayStation Experience 2015 was met with mixed receptions from gamers and critics alike but if one announcement managed to impresses the masses it was Bungie revealing an exciting upcoming event for the award-winning online shooter, Destiny. Officially released as an add-on to Destiny: The Taken King, meaning players will need both the game and the expansion in order to enjoy the new content, Sparrow Racing will allow groups of up to 6 brave Guardians to fight in an entirely new way as they participate in a literal race against death. Speed through various courses, avoid deadly traps and navigate through groups of powerful enemies for a chance at glory and cool Sparrow inspired prizes. 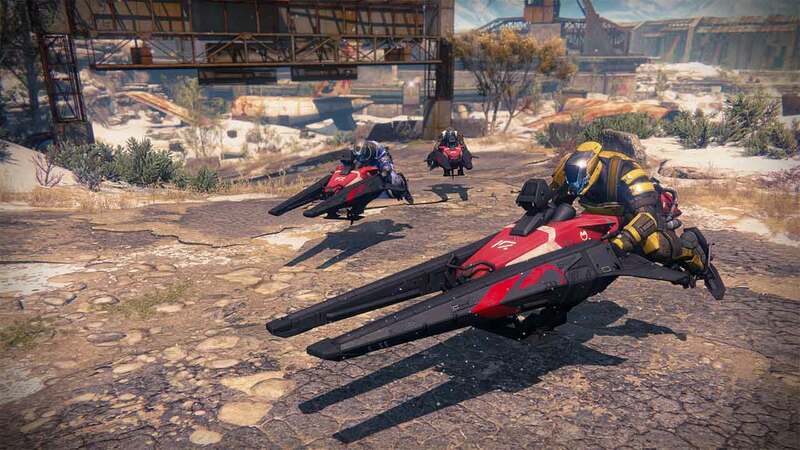 Sparrow Racing will begin on Tuesday, December 8th, and will continue to run through until December 29th. Additionally Bungie also revealed at PlayStation Experience that PlayStation 4 players will have a limited time quest available on the launch day of Sparrow Racing.